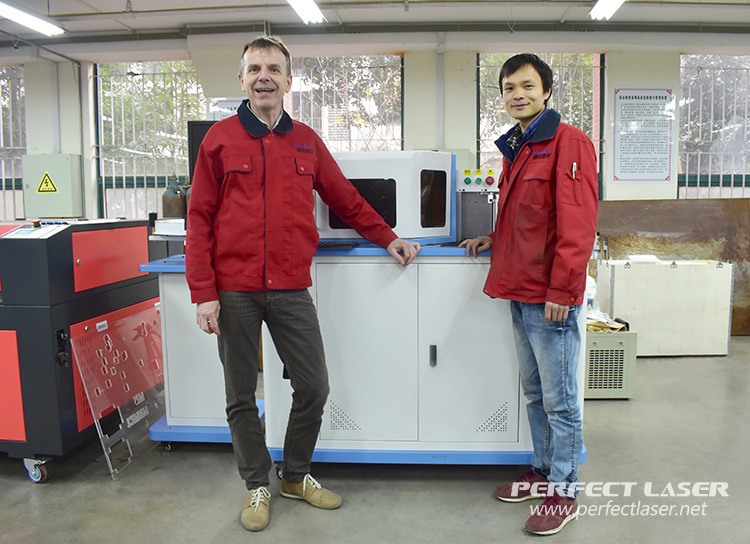 On January 17th 2018, two customers from Slovakia visited Perfect Laser, they looked around and see our leading advertising machine -- channel letter bending machine PEL-700. Accompanied by Anny, a salesman of International Department of Foreign Trade of our company, the customer inspected the production environment of our factory and felt the high quality production requirements of our company. After watching our engineers' work practice and hands-on operation of the letter bending machine PEL-700, the customer praised the processing effect and work efficiency of the machine. At the same time, the customer also expressed the interest and cooperation desire to further understand our company's entire program of advertising word series. For more than 20 years, the company has been not only committed to providing customers with high-precision bending machines, but also dedicated to developing a variety of advertising word combination schemes to meet the diversified needs of customers. In this time , the channel letter bending machine PEL-700 which the customer focuses on is a automatic and one kind of three-in-one CNC bending machine. It adopted a CNC axis control slot depth and angle of the system, which can simultaneously process aluminum, stainless steel, iron and other materials, with high precision and excellent bending performance. The visit of Slovakian clients not only deepens their understanding of the quality and performance of the company's machines, but also helps to foster long-term cooperation and enhances the company's reputation in Slovakia and the world.